Stunning custom Colonial with striking architectural detail and quality construction located in a beautiful subdivision. 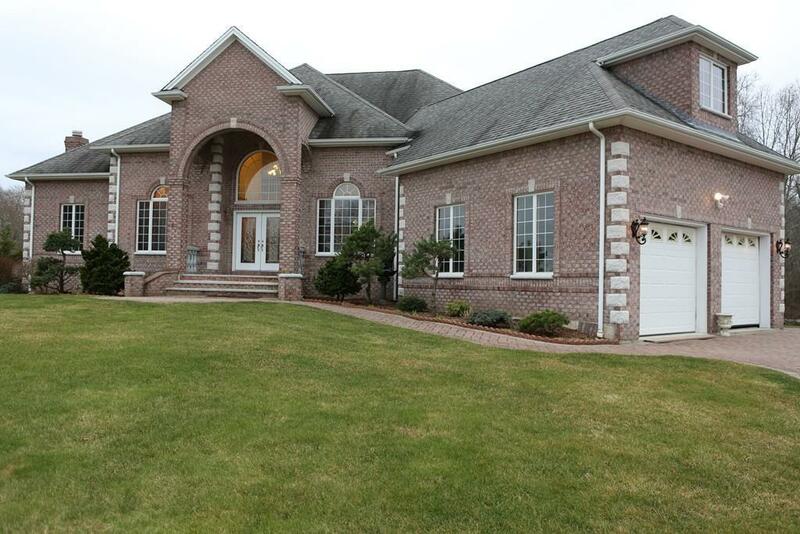 Dramatic 2 Story entrance foyer leading into a breath taken 2 story high family room, dining and formal living rooms. Huge beautiful custom windows everywhere, many with stain glass, these 3 rooms include a gas fireplace, decorative columns, crown moldings, and 18’ tall windows facing south to drench the home with light and natural heat. Gleaming hardwood floors throughout first and second floor. Gorgeous custom kitchen with granite counters, large island, Pantry and breakfast area. Exquisite 1st floor master suit with hot tub, 2 bedrooms on second floor include a jack and Jill bath and additional bedroom with private bath. 10 foot tall basement ceilings with walkout to ground level with many possibilities to finish if desired. Minutes to the highway, shopping mall and restaurants and a wonderful school district.